Live from Orlando- the land of Amway multi-level dreams and gift shops to the vanishing point, it’s the Sun Araw pyramid scheme concert ticket. Yes, we are the presenter that manufactured the Peter Brötzmann-themed Machine Gun Pepper Sauce and the quite tasteful Mary Halvorson paper doll set. 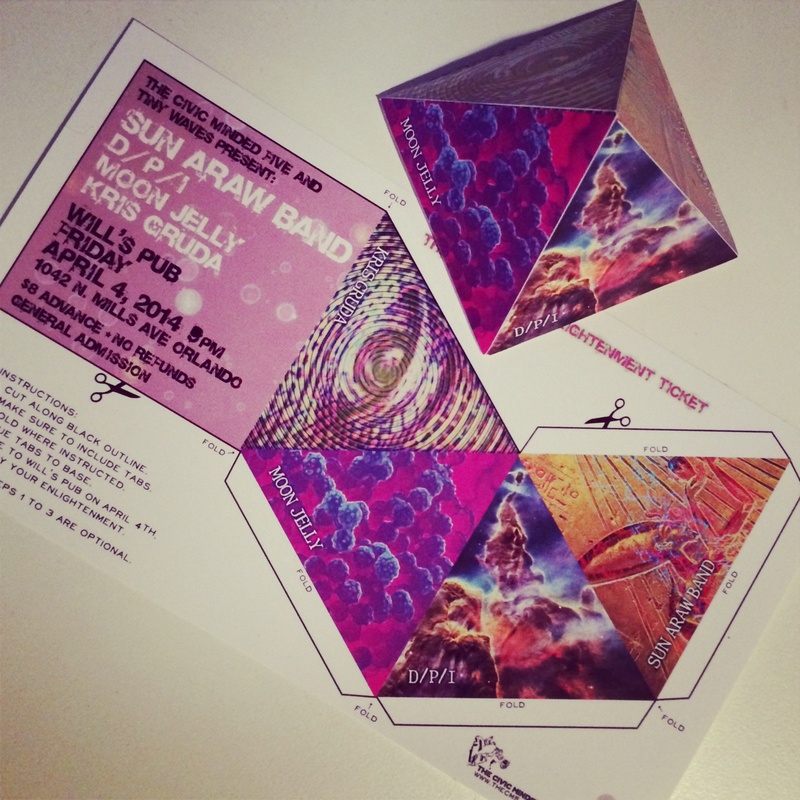 Those mementos were successful and the concerts blew up, G. Purchase a limited edition 3D compatible Sun Araw Band ticket for $8 from Park Avenue CDs or from a Moon Jelly member before the day of show. It’s $10 on Friday, April 4th and you may not have the 2D/3D option that others will be astral rocking. Sharpen razor blades, preserve small fruits, gain admission to 4/4 Sun Araw concert. Tags: Civic Minded 5, cm5, D/P/I, Kris Gruda, Moon Jelly, Pyramid ticket, Sun Araw. Bookmark the permalink.